When most people think of going to the grocery store, they think of the drudgery of the chore of buying food. In fact, it’s such a drudgery, there are services where people will do you grocery shopping for you. Heck, even Walmart offers a pickup service so you can avoid shopping inside. When you talk about travel bloggers and food, they will showcase all the fancy restaurants they have went to or the obscure hole in the wall place or food truck they have discovered. 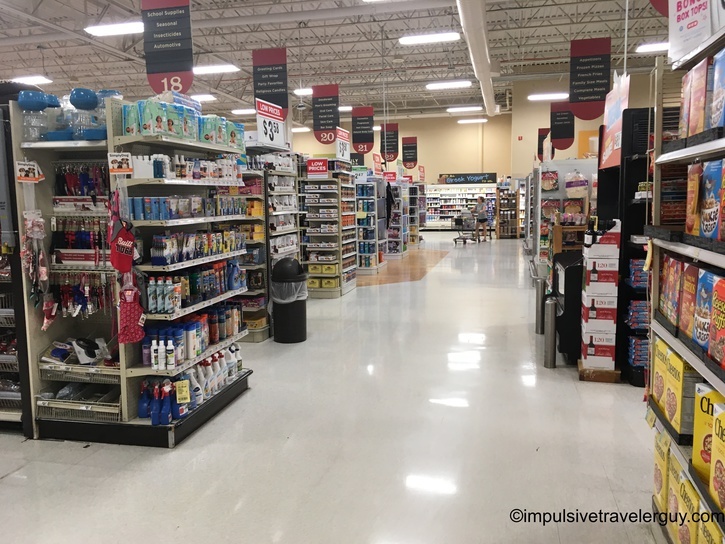 While restaurants and food trucks are definitely a part of the travel experience, one place that is overlooked is the humble grocery store. What you will find is a treasure trove of local products that reflect the local culture and tastes. 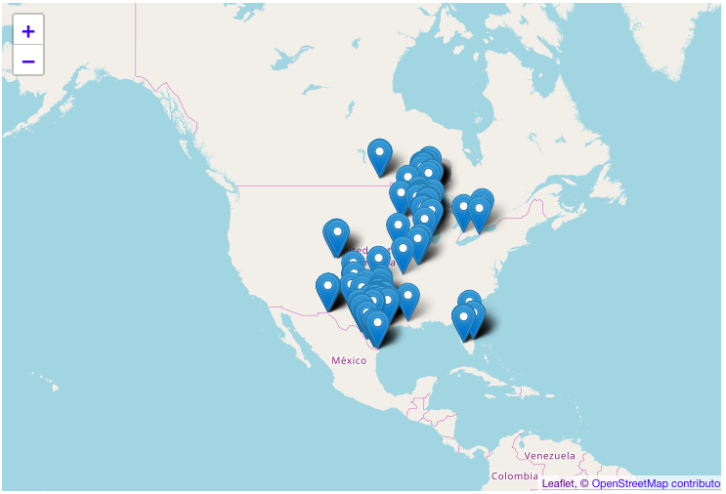 Every region has at least one dominant grocery store chain. 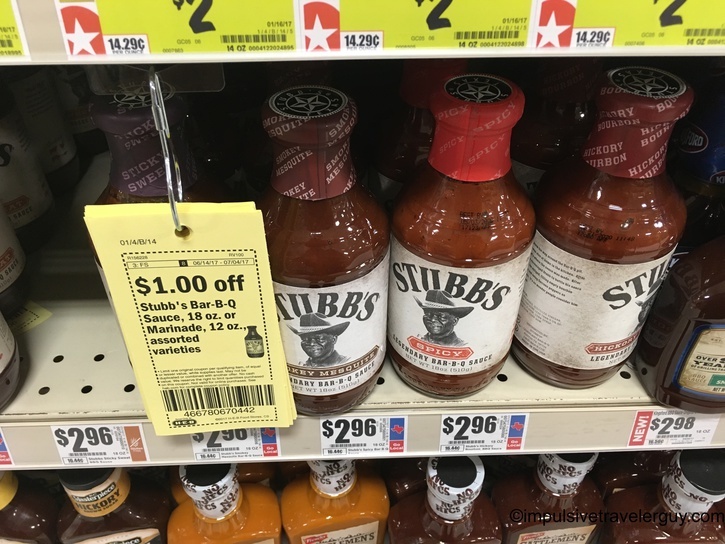 In Wisconsin, where I grew up, it was either Festival or Pick N’ Save. I know in Florida, I saw plenty of Publix grocery stores. King Soopers appeared to be the dominant chain in Denver. 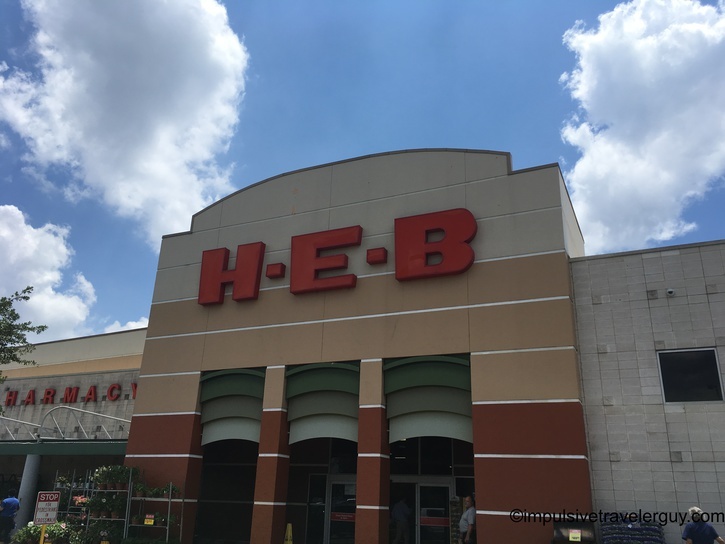 In Central Texas, we have H-E-B. 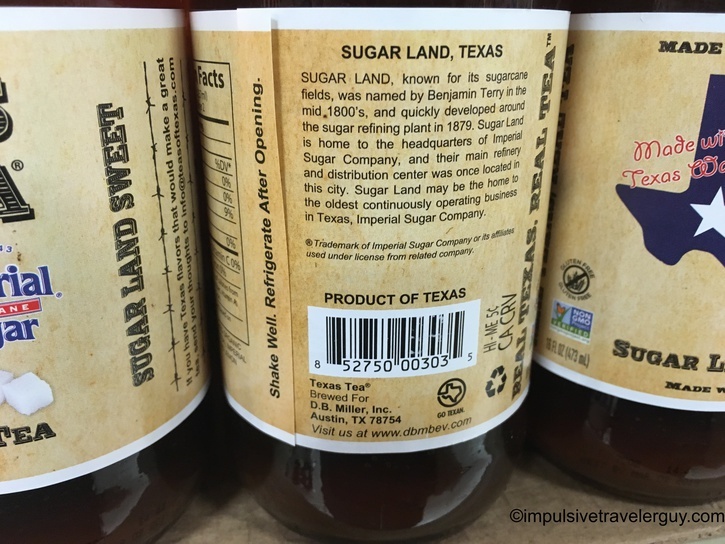 Many grocery stores have “buy local” labels. 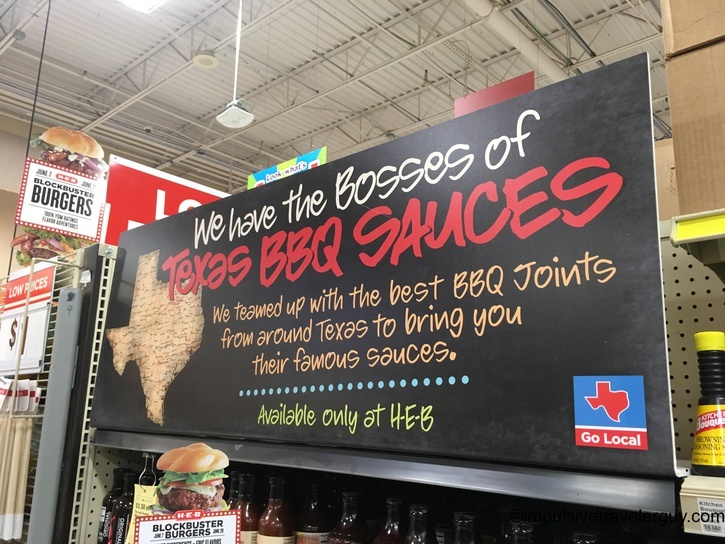 H-E-B doesn’t, but it has a strong Texas identity and will point some local Texas products out with a big sign. Alternatively, you can look at labels. 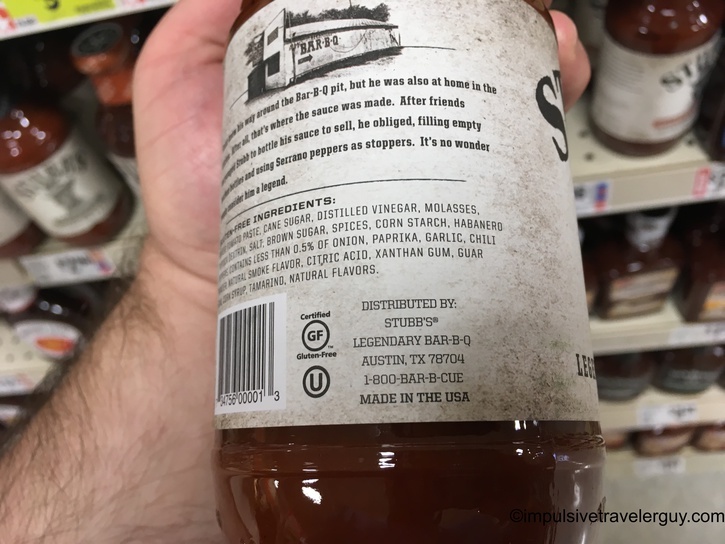 I know Stubb’s is based out of Austin, but it’s easy to look at the address on the bottles. Sometimes, it’s also dead obvious. I have been making it a point to buy as many local products as I can. I will also try to find the most local of all the products. 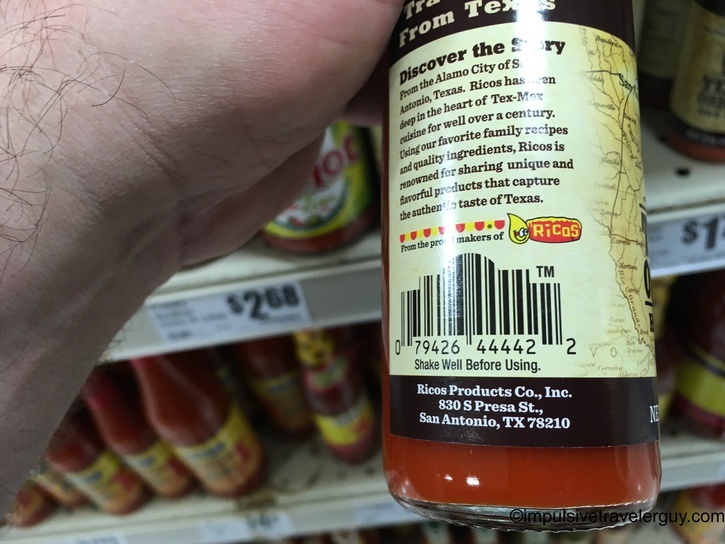 When I’m in Austin, this means I try to find stuff made right in Austin. 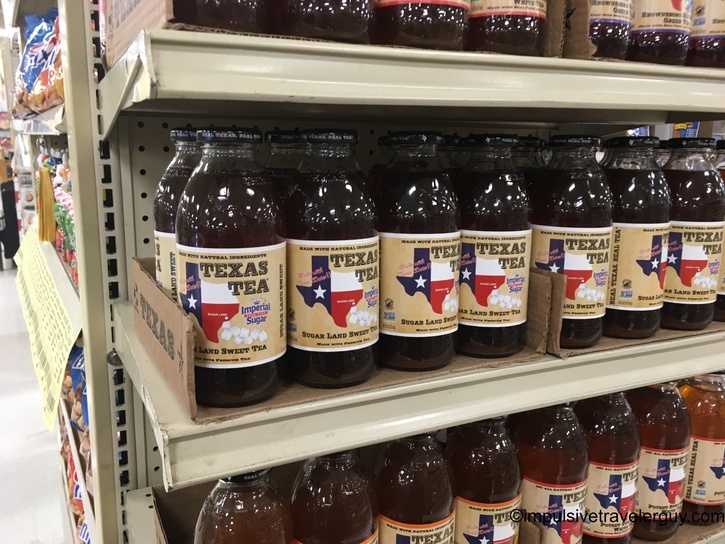 If there aren’t any other Austin products to try, I’ll branch out to Central Texas and eventually Texas itself. I did the same thing with the local products when I was in Denver. I am finding this allows me to explore an element of the culture that most people ignore. It is also much cheaper than going to a restaurant, so it allows me to sample more stuff. I have found some great products. 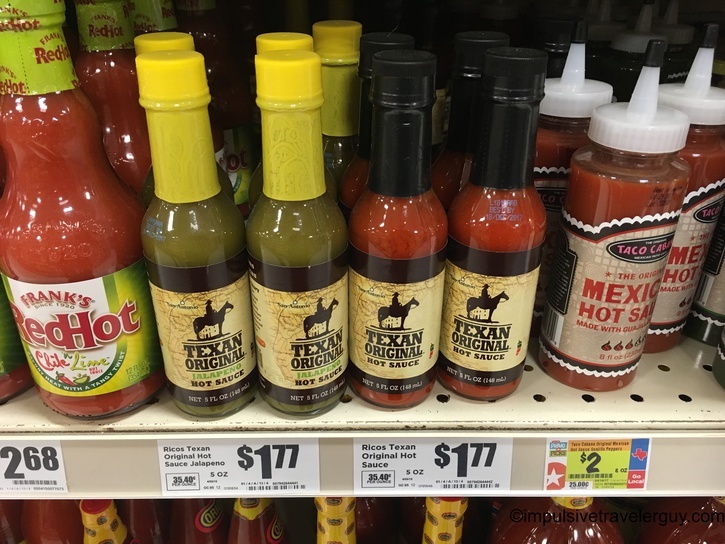 Yellowbird hot sauce is one of my favorite hot sauces and it is made right in Austin. There are also some other products I have tried that have have become go to for me. As I travel more, one of my destinations will be a local grocery store. Since it’s not practical to take perishable foods back, my focus is mainly on non-perishable foods that can sit in my car for a while if needed. The products will also be stuff I consume on a regular basis like coffee, hot sauce, salsa, and beer. As I buy and try these products, I’ll blog about them and let you know about my findings.